PALE PRIMROSE (Saunders, 1951) Name changed to STARLIGHT. Single - Pale Yellow  Hybrid. Letter from Miss Saunders, 1955. List in Bulletin 129. PALE PRIMROSE (1951) (N) - Name changed to STARLIGHT. STARLIGHT (Saunders 49) Hybrid. 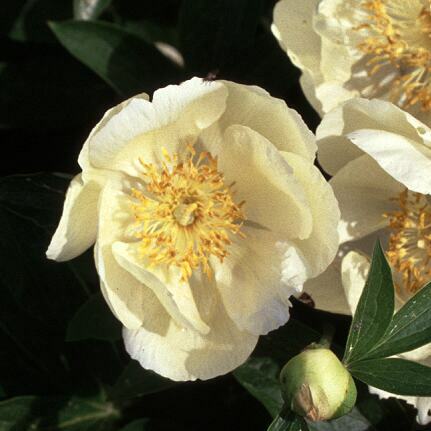 Two rows of ivory yellow petals make up this single flower with a luscious gold and cream center. 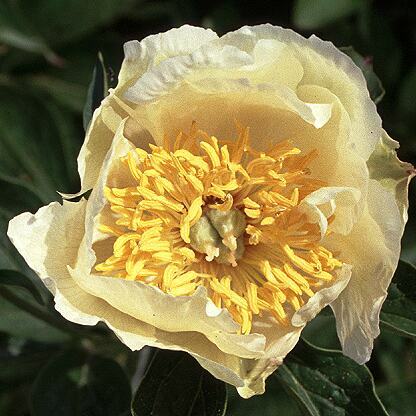 Photo is showing flower too white and not the ivory yellow that it is in the garden. Blooms in April here. Very early.